Most nationalities visiting Japan are issued a 90-day visitor visa upon arrival in Japan that cannot be extended within Japan (first list). Obviously, 90 days is more than enough for most tourist purposes. 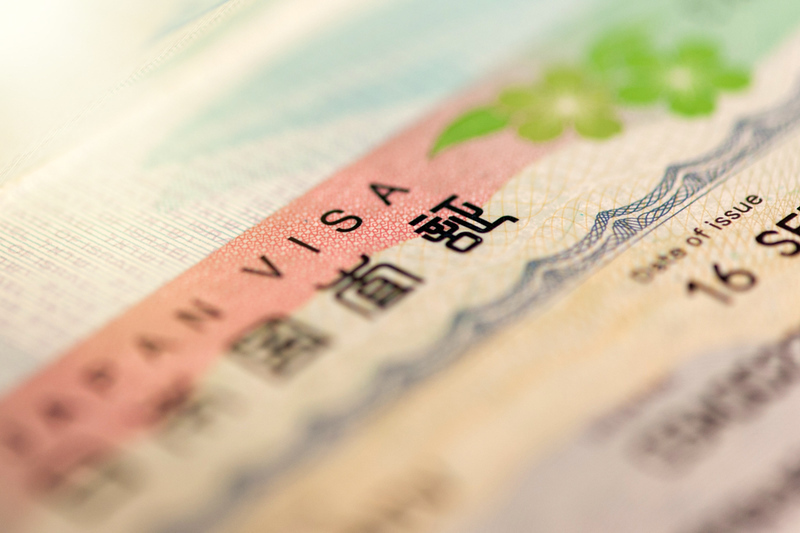 Some lucky countries are issued a 90-day visitor visa upon arrival that can be extended for another 90 days within Japan (second list). Other countries are issued 15-day visitor visas on arrival (third list). Do I Need To Show Proof Of Onward Travel? Technically, you must be able to show proof of onward travel when entering Japan. In practice, immigration officers rarely ask to see this. However, if they were looking for a reason to refuse you entry, this would be an easy way to do so (if indeed you didn’t have an onward ticket). You should be able to show proof of sufficient funds to travel for the length of your stay in Japan. This could involve a credit card, a large wad of cash or a bank statement. Again, immigration officers rarely ask to see this, but it doesn’t hurt to be prepared. Note that all foreign visitors to Japan are photographed and fingerprinted upon entry (when you show your passport). If you want to extend your visa or deal with any other immigration-related issue, visit the Osaka Immigration Bureau Kyoto Branch. It located on the 4th floor of the Dai Ni Chiho Godochosha Building at 34-12 Higashi Marutamachi, Kawabata Higashi-iru, Sakyo-ku. It’s a 5-minute walk from the Keihan line’s Marutamachi Station.